What's for dinner in Rockville tonight? How about this choice Ribeye Steak at Miller's Rockville Ale House! It includes cole slaw, and your choice of a second side item, for a ridiculously-low price. You can order it blackened or grilled. 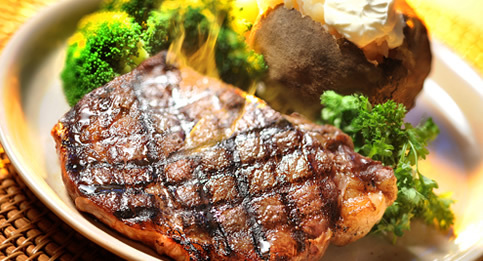 Take on the first night of 2013 with a hearty steak dinner, tonight's special at Miller's Ale House.